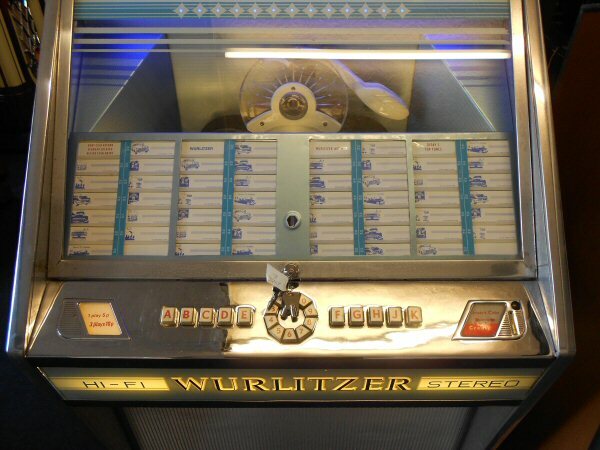 Wurlitzer Lyric E made in 1964. Good chrome. New wheels, sides, mechanism service, amp service etc. 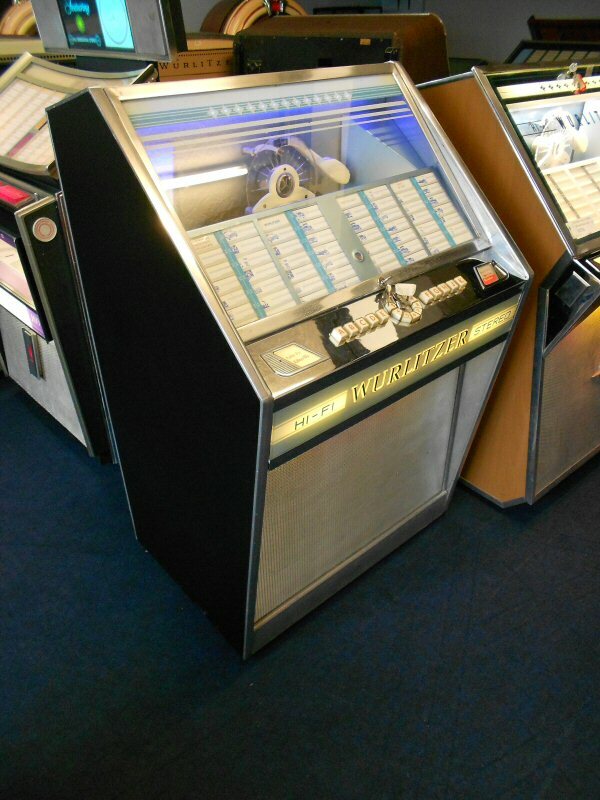 Brand new front Wurlitzer glass. A good entry level to visible mechanism machine and a great sound. The title tray is not original and the front Lyric logo is missing so I have reduced it to £3450. Measures 32 inches wide, 28 deep, 50 high.